The 2019 VW Jetta’s Driver Assistance package is a cheap way to net essential safety tech. The 2019 Jetta has most of the goods, but not all of the things that have make VWs excellent choices in the past. It's the iPhone SE of the lineup. Tick all the boxes and the Jetta SEL Premium runs about $27,800, a reasonable sum considering its features such as a trick, configurable TFT display in place of conventional gauges, heated and cooled leather seats, Beats by Dr. Dre speakers, a panoramic moonroof, and navigation. A GLI Autobahn top $30,000, which isn't that much of a premium for its additional performance. Call it timeless or call it bland, the 2019 Volkswagen Jetta’s crisp lines will offend few. The only way to make the 2019 Volkswagen Jetta stand out in a parking lot is to order it in Habanero Orange, a deep shade of chile that could have been plucked from the Super Beetle’s color palette. Otherwise, this conservative sedan does little to attract attention. For many owners, that will be just fine. We call it an easy 5 out of 10 (read more about how we rate cars). The Jetta’s exterior follows sedan convention, with clean, elegant proportions and few hints of extravagance. Even its wheel designs—16- and 17-inch alloys, depending on the trim level—hardly reach for the stars. Standard LED headlights give it a distinct view at night; SEL trims have more sophisticated LED projector headlights with aspirational halo-effect running lights. The GLI reaches for a little more but not much. Its honeycomb grille has a red stripe inspired by the GTI, side skirts visually lower the car, and a 0.6-inch suspension drop does it physically to create a lower profile. Inside, the Jetta’s dashboard cants toward the driver; its lean isn’t as perceptible from the captain’s chair as it is from the passenger’s seat. The result is a big stretch for passengers to adjust the radio volume. Most trims use a 6.5-inch touchscreen, but SELs swap that out for an 8.0-inch unit with a shiny glass screen that pairs well with the 10.25-inch widescreen display that takes the place of conventional analog gauges on high-spec Jettas. The 2019 VW Jetta pleases, but it doesn’t entertain. The 2019 Volkswagen Jetta is not built to thrill. It is competent and comfortable, but far short of engaging. We rate it a 5 out of 10, a perfectly average score for a vehicle as light on minuses as it is on pluses (read more about how we rate cars). 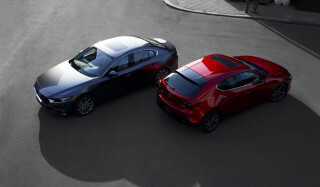 Rivals like the Honda Civic and Mazda 3 have more personality than the staid Jetta. Base versions of the 2019 Jetta use a 1.4-liter turbo-4 that puts out a humble 147 hp and 184 lb-ft of torque. The turbo engine builds what power it has quickly and quietly, and it pairs well with the 8-speed automatic transmission fitted to most Jettas that leave VW’s Puebla, Mexico, assembly plant. The Jetta GLI features a 2.0-liter turbo-4 rated at 228 hp that's cribbed from the Golf GTI. A 6-speed manual is standard on the Jetta S and it’s worth seeking out for its crisp shift action and light, easy clutch. The 6-speed doesn’t turn the Jetta into a corner-carver, though. The Jetta utilizes the same stiff structure we’ve come to love in the Golf, but here it prioritizes comfort over tenacity. Its soft suspension gobbles up pockmarked roads, but can feel slow to recover after rough railroad crossings. Beneath the Jetta’s trunk sits a simple torsion-beam rear suspension, a design not fitted to the similar Golf hatchback. There’s nothing inherently wrong with the torsion-beam design in gentle driving, but when pushed it doesn’t allow the rear wheels to operate with the same independence of more common multi-link setups like that used in the Golf. There’s a reason that the Jetta is about $2,000 less than the Golf. The quick, accurate steering delivered through the three-spoke wheel settles into a comfortable soft spot for straight-line highway cruising. Jetta SEL and SEL Premium trims feature four drive modes, something oddly lacking from the sport-styled-but-not-sporty Jetta R-Design trim. Set to Sport, the Jetta’s steering firms up nicely when pushed through a curvy road while remaining quick and light in a parking lot. Don’t look to the Jetta R-Design for more zip or zoom; it shares the rest of the lineup’s soft suspension. It does feature an electronic differential to help distribute power better between the front wheels in hard cornering, but with just 147 hp on tap, its job is an easy one. The sporty choice is the GLI. Its turbo-4 engine offers not only 228 hp but 258 pound-feet of torque. That's enough to deliver 0-60 mph times in the mid-to-low 5-second range. We like the power when it's sent through either the slick-shifting manual or the available quick-acting 7-speed dual-clutch automatic transmission. Both versions come with an electronically controlled limited-slip differential that helps the GLI keep the power flowing to the pavement even during aggressive cornering. The GLI's lower ride height, independent rear suspension, and stiffer suspension settings give it a natural athleticism that approaches the much loved GTI. It corners flatter, responds quicker, and creates more smiles, but also rides harder than the base Jetta. The 35th Anniversary Edition has adjustable adaptive dampers that smooth out the ride in the Comfort or Normal modes and make it even firmer in Sport. Brakes from the Golf R ensure that the GLI can handle spirited canyon carving without brake fade. The 2019 VW Jetta utilizes its interior space well and feels well-finished. Passengers win in the 2019 Volkswagen Jetta, which has good room for two adults and occasionally even a third in its second row of seats. That’s enough to earn it a point above average, but we take that back for limited front-seat comfort in all but the priciest models. That brings the 2019 Jetta to 5 out of 10 (read about how we rate cars). Drivers and passengers aren’t stuffed in steerage class, but the center console digs into leg room and the seats are lacking in lumbar support. We like the tough cloth upholstery fitted to the Jetta S more than the synthetic leather found in SE, R-Design, and SEL trims. The range-topping Jetta SEL Premium features leather presumably made from rubber cows and it benefits greatly from adjustable lumbar support, something left out of the rest of the lineup. We also like the sloth sport seats in the GLI, though VW should go all the way and offer them with a plaid pattern, a la GTI. Rear-seat riders have easy access thanks to wide back doors and legroom is above average for a compact car. The Jetta’s trunk, at 14.1 cubic feet, swallows suitcases on par with other compacts but lacks the flexibility of increasingly popular hatchbacks and crossovers SUVs—including VW’s own Golf. Jettas we’ve driven have felt tightly assembled with a mish-mash of materials inside. Soft-touch door and dash trim clashes with the occasional chintzy plastic bit, but overall the Jetta’s interior is price-appropriate. The 2019 VW Jetta offers a comprehensive safety package, but its headlights don't earn accolades. Nearly all 2019 Volkswagen Jettas are well-equipped when it comes to safety gear. The sedan earned five stars from the NHTSA but subpar headlights held it back from accolades from the IIHS. Overall, we rate it at 6 out of 10. Better headlights and standard active safety tech would elevate the VW Jetta to 8 out of 10. (Read more about how we rate cars). All versions of the 2019 Jetta come standard with six airbags, stability control, a rearview camera, and a post-collision braking system that holds the brakes if it detects that the vehicle has been hit. For a modest $450, the Jetta S can be fitted with the Driver Assistance package that includes automatic emergency braking, blind-spot monitors, rear cross-traffic alerts, and heated mirrors. That’s money well spent, if you ask us—and we applaud VW for extending the option to both automatic and manual-equipped Jettas. Jetta SE and higher trims, as well as all GLIs, come standard with all that gear, while SELs add adaptive cruise control with stop-and-go, automatic high-beam LED projector headlights, and active lane control. The IIHS said that the Jetta earns "Good" marks in all of its instrumented crash tests, but its headlights aren't up to snuff. As a result, it's not Top Safety Pick-rated. 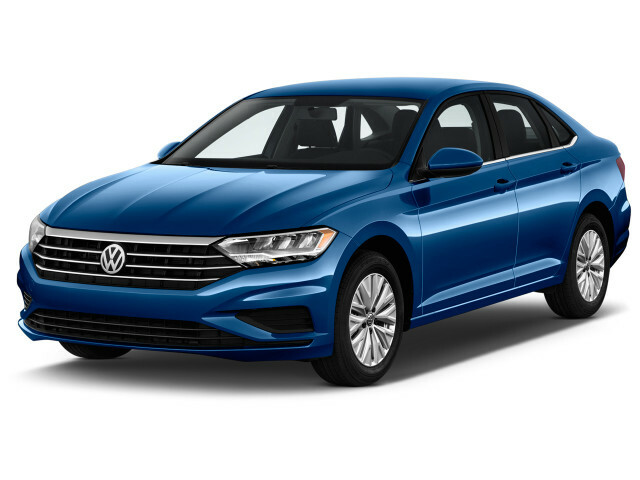 The 2019 VW Jetta offers a good value and benefits from an extensive warranty. The 2019 VW Jetta does not want for features or value, that’s for sure. We give it two points above average—one for its wide feature set and another for its impressive warranty. 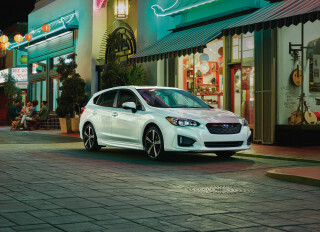 In our eyes, it rates a 7 out of 10 for its standard and optional equipment (read more about how we rate cars). The gateway to the lineup is the Jetta S, which is incidentally the only trim with a 6-speed manual transmission. 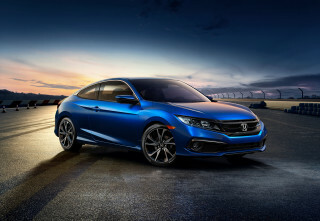 It’s outfitted with cloth upholstery, a 6.5-inch touchscreen for infotainment that’s Apple- and Android-compatible, LED headlights, alloy wheels, and a steering wheel with audio controls. 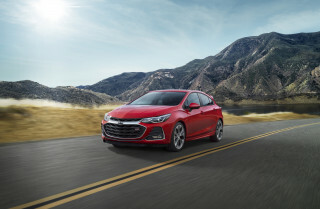 The 8-speed automatic runs $800 extra, while a worthwhile $450 Driver Assistance package adds automatic emergency braking, blind-spot monitors, and rear cross-traffic alerts. Next up, the Jetta SE adds to the S the Driver Assistance package, a panoramic moonroof, automatic climate control, keyless ignition, heated front seats, synthetic leather upholstery, and leather around its steering wheel. For about $22,000, it’s a solid deal. We’re less convinced that the Jetta R-Design is worth an extra $800 or so; it nets buyers a sportier body kit but no performance upgrades other than an electronic differential that makes little difference in day-to-day driving. The Jetta SEL borders on Audi-light levels of equipment with its 10.25-inch digital cockpit TFT screen that replaces other trims’ conventional gauges. The screen offers several different display modes, but it works best with navigation—something exclusive to the range-topping Jetta SEL Premium. Aside from the frugal Jetta SE, it’s the SEL Premium that makes the most sense to us. For under $28,000, it’s well-outfitted with leather upholstery, heated and cooled seats up front, navigation, Beats-branded speakers, adaptive cruise control, and active lane control. Regardless of trim, the Jetta features one of the best warranties found anywhere: 6-year, 72,000-mile bumper-to-bumper coverage that’s transferable to subsequent owners. The Jetta GLI undercuts its Golf GTI sibling by quite a bit this year. Starting at $26,890 in S trim, the GLI includes a lowered suspension, specific 18-inch aluminum wheels, LED headlights and taillights, dual exhaust outlets, and a rear diffuser. The interior is well equipped with heated cloth sport seats that feature red contrast stitching and piping, a leather-wrapped steering wheel, keyless ignition, and a 6.5-inch touchscreen for the infotainment system. Apple CarPlay and Android Auto compatibility are also standard. The $28,690 GLI 35th Anniversary Edition adds unique wheel designs and adaptive dampers, a feature that's available only on a $33,500 version of the Golf GTI. The Jetta GLI in the range-topping trim adds a 10.3-inch digital instrument cluster, an 8.0-inch touchscreen for infotainment, heated and cooled leather seats, Beats audio, and a panoramic sunroof. That full roster of equipment costs $36,890 in the GTI, while the GLI Autobahn costs $30,090. At 40 mpg, the 2019 VW Jetta won’t be a common sight at gas stations. The 2019 VW Jetta is among the most fuel-efficient compact sedans on the market, and it doesn’t discriminate between automatic and manual transmissions like its rivals. 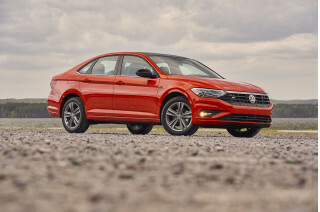 We rate the 2019 Jetta at 7 out of 10 points on account of its 30 mpg city, 40 highway, 34 combined rating (read more about how we rate cars). The Jetta’s styling attracts little attention from anyone, including the wind it turns out. Its slippery shape and active aero shutters buried in its grille help it achieve an impressive 0.27 Cd in the wind tunnel. Additionally, Jettas with the 8-speed automatic feature a stop-start system that intrudes less than most we have encountered. The Jetta GLI is fairly efficient as well given its power. 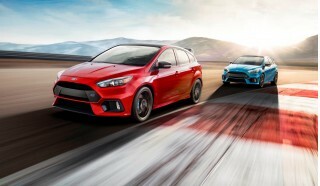 It is rated at 25/32/28 mpg with either its 6-speed manual or 7-speed dual-clutch automatic transmission. I got the first Jetta in the States with moonroof problems! So I have been researching this car for over a month and really feel in love with it. We bought a Habanero Orange on 7/29/2018 from a dealer in the Bay Area, CA. Car had 10 miles on it and it was well centered... So I have been researching this car for over a month and really feel in love with it. We bought a Habanero Orange on 7/29/2018 from a dealer in the Bay Area, CA. Car had 10 miles on it and it was well centered in the showroom floor. We were so excited as we drove 1.5 hours to get the amazing deal we got. We did not test drive this one as we already test drove this car at other dealers and just wanted to buy and fly. So as we got ready to leave the dealer, I opened the moonroof to hear a terrifying metal noise come from the moonroof and noticed the driver side rear of the sunroof was down about two inches from the left side. Something went wrong! So the salesman and staff came to the car in the showroom in complete shock, as were my family and I! So needless to say, we bought a brand new car 5 days ago and still have not been able to drive it, since we had to leave it there. Now VW is scrambling to find parts for this as the hardware is unavailable. They need to change out the whole moonroof! I was told that I am the first and only moonroof issue of this that VW knows of and they are working hard to figure out a solution. At this point we want a new VIN same model car as this should not be a proper way of doing business. Once I get my car ( hopefully a replacement through VW ) I will update my review with all the great things I hope for. It's been a few days now that I have the chance to drive my new 2019 Jetta R-Line and I honestly love it! The ride comfort is worthy of an audi, the sound and the many technologies on board make trips much more enjoyable! The bluetooth is clear and no difficulty to understand people or to be understood, adaptive cruise, line adjustment and automatic wipers works very well. The sunroof is huge and does not cut space to the rear passengers. My only downside so far is the automatic high beams that constantly go from high to low for no reason. I have not been able to try them several times so it may be the configuration of the road that I took that was not optimal for the system! Jetta - An updated favorite with modern technology, and non-sporty feel. Have own the car for less than week. Chose the Habanero Orange to get away from the standard colors normally seen on the roads today. On the outside it has a familiar lines similar that to an Audi A3. Upgraded... Have own the car for less than week. Chose the Habanero Orange to get away from the standard colors normally seen on the roads today. On the outside it has a familiar lines similar that to an Audi A3. Upgraded LED F/R lights are great to see across the Jetta's trim line. The Panoramic Sunroof is nice but doesn't carry the wow factor like the Jetta Sportwagen. Larger front grille is very noticeable which is one of the ways one to instantly distinct itself from previous model years. Daytime run light are fantastic they almost encircles the headlight perimeter and re bright. Side mirrors are a bit narrow and limits viewing at the far end due to its arrowhead-like shape. Overall styling and shape is similar to the that of a higher end luxury sedan, with some aggressive side lines. On the interior, it is hands down a very driver-centric environment. All the primary gauges and interior accessories are all angled to the driver. Especially with the driver's seat having adjustable power features and across the isle has to deal with a 4-way manual adjustment, that sinks the passenger onto the seats. The real-leather seats feels not as soft as other leather equipped vehicles but I suspect this will break in and last a little longer. The new VW infotainment system is nice and responsive. Only issue I have is learning the sequence to navigate through it. The ambient lighting feature is great. If you select a lighter color and turned it up, you may not need the overhead reading light. I do like the ability to configure the keyfob for each assigned driver, while giving the option to change the preset to other drivers once the ignition is started. I also like the arrangement of the radio to vents and the rear passenger doesn't have any form of ventilation and the vents position is low and strong enough to push the A/C to the rear passengers. I absolutely love the shape of the turn and wiper levers. It has a widened front shape and a narrower rear shape that the level provides a positive feel when lane changing. I love the digital cockpit. It reminds me of Audi's version. What else can I say as the Jetta offers a great gas rating versus the competition at the same class. What I don't like is the lack of an audible front and back sensors, and parking assist. Going back to the seat I found the bolster sides are very rigid but does a great job in centering you, Also the backup camera's resolution could be better with at least a 720. I do not like the door handle is located high above the door panel, but I am glad that it is illuminated for night time driving. I am not particularly fond off the rim design but my wife seems to love it.